A passion for photography could lead us to a good business. Defining subjects such as children, indigenous art, or still-life objects can turn in a good profit if you know how to capture these and know the principal essentials to running a business. 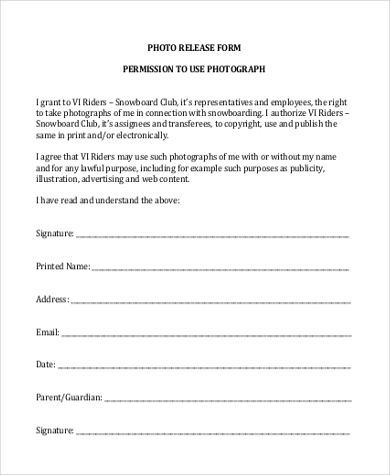 If, for instance, you have covered a group of motorbike riders on their road show showcasing their personalized motor vehicles, the organization must first seek your permission if it wishes to publish the images you have taken. 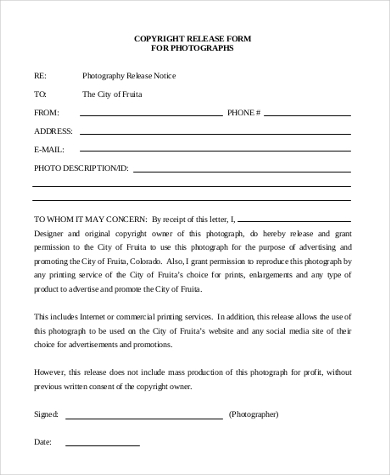 Photo release forms are used to secure permission to publish photographs of children, groups of people, and inanimate objects, among other things. Download these Release Forms and learn how they differ from a model release. Some images taken are also used to promote a place, event, or property without having to hire top models. As you run your business, release forms will be asked of you, and this may prove a hassle as time is a critical element here with a lot of engagements to attend to. 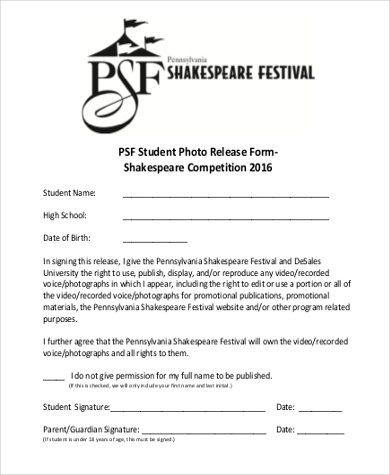 In an institution, certain policies are to be met, the person who will do the video / photograph must sign a release form which can be downloaded at this site. 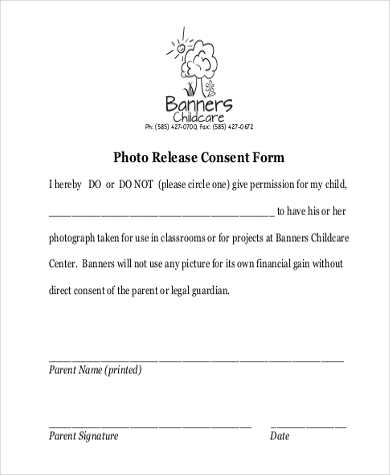 In the case of minors, a minor release form must be duly signed with the consent of the parent / guardian. 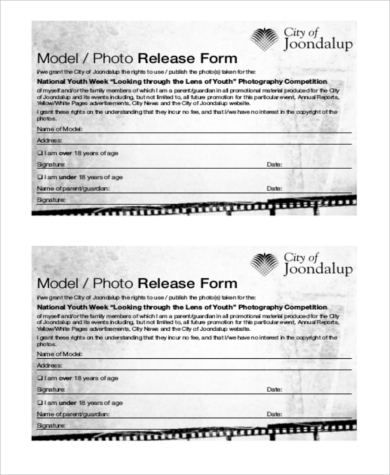 With the help of these sample templates – Sample Photography Release Forms and Sample Picture Release Forms – you will save a lot of time. These practical templates are great for record-keeping and will come in handy whenever you need them. The business you establish will have a good image. These templates feature a step-by-step guide to help you indicate what you need. 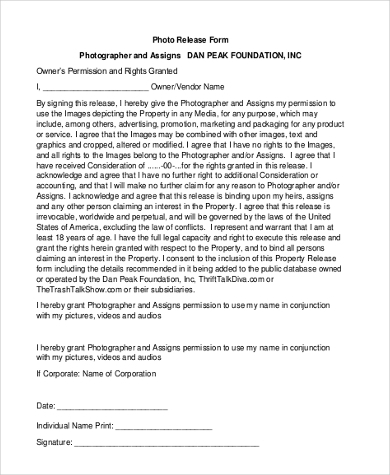 Once you have that release form duly signed by both parties, you may edit photos as desired by their likeness, contrast, saturation, and other digital mediums. Striking images have a niche in social media by capturing stories of patients for healthcare, education, and such. 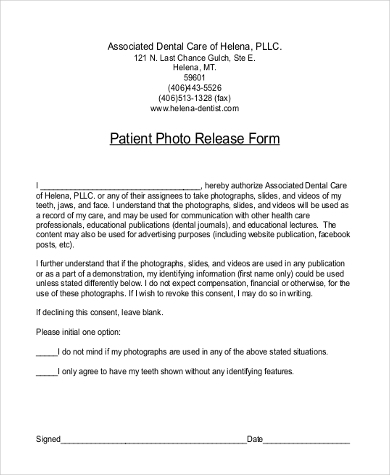 With the use of professionally formatted Sample Photo Release Forms for this digital system, you will be able to keep track of your business. Download, edit, and print it and you will have your comprehensive and understandable release form in a minute. 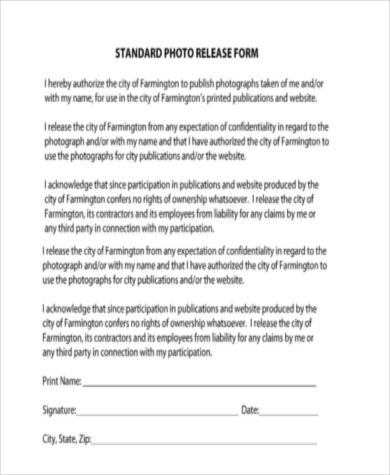 We are drawn to make things easier and reliable for your photo / video business, so here we are helping you with these standard build release forms. 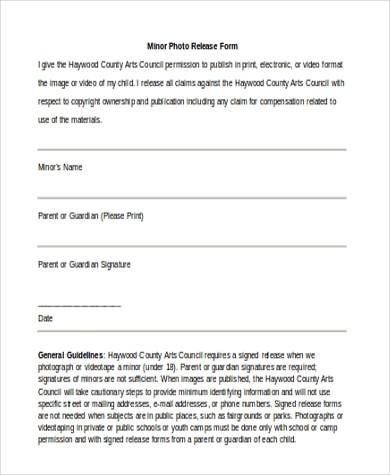 Since parents with beautiful children could make great subjects for a photo shoot, the photographer may secure a photo release form to secure the permission from the parent/ guardian. You may download here the sample photo release form. 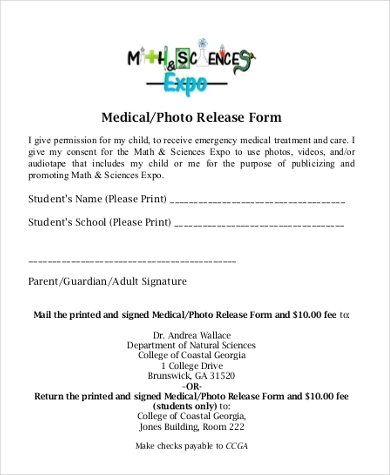 As mentioned above, these forms are easy to download, stress-free, editable, and come in DOC and PDF formats for your convenience. They save you precious time and assure you with confidence with their professional formats.